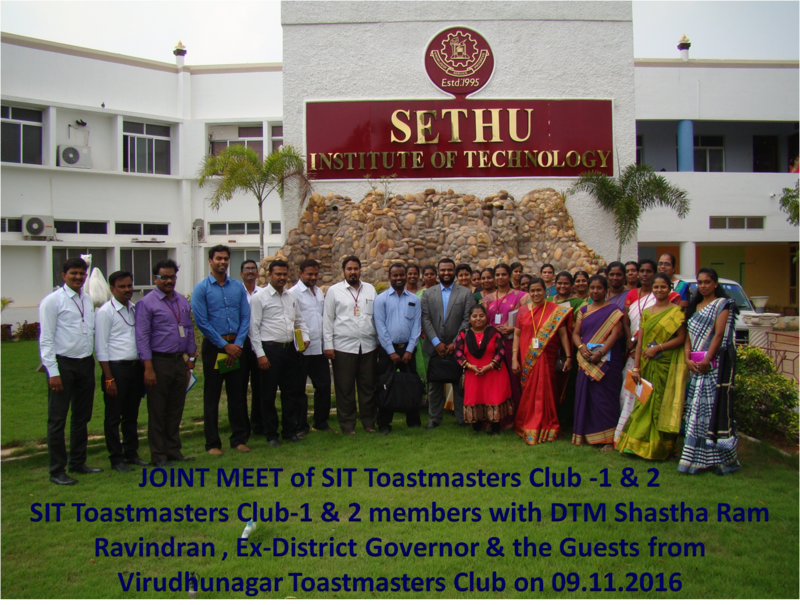 Sethu Institute of Technology has organized the Inaugural Function of SIT TOASTMASTER CLUB 1 & 2 on September I, 2016. 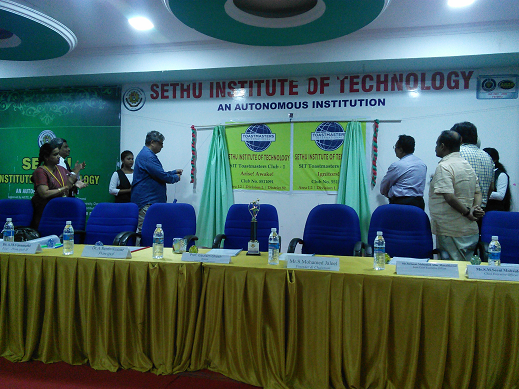 In the Inaugural Function, Prof. Gautham Ghosh, Director, Thiyagarajar School of Management, Madurai has graced the occasion as the Chief guest while Mr.S.Mohammed Jaleel, Founder and Chairman, Sethu Institute of Technology, Mr.M.Seeni Mohaideen, Chief Executive Officer, Sethu Institute of Technology, Mr.M.Seeni Mohamed Aliar Maraikkayar, Joint Chief Executive Officer, Sethu Institute of Technology, Dr.A.Senthil Kumar, Principal, Sethu Institute of Technology has presided over the function. The Inaugural function began on a prayerful note with a melodious prayer song rendered by Mr. Khader Sheriff, Assistant Professor. Dr. P.G. 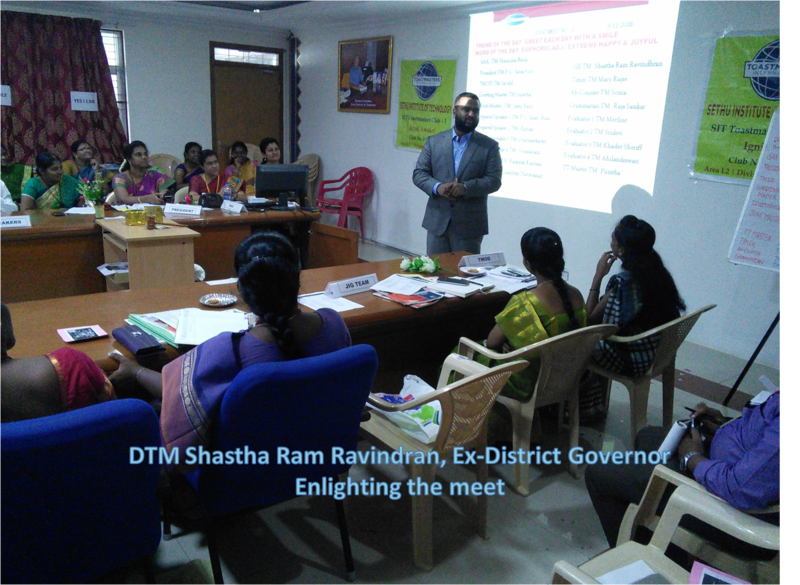 Jansi Rani, Dean, Science & Humanities, welcomed the gathering and the dignitaries by introducing the vision of Toastmaster International Club. 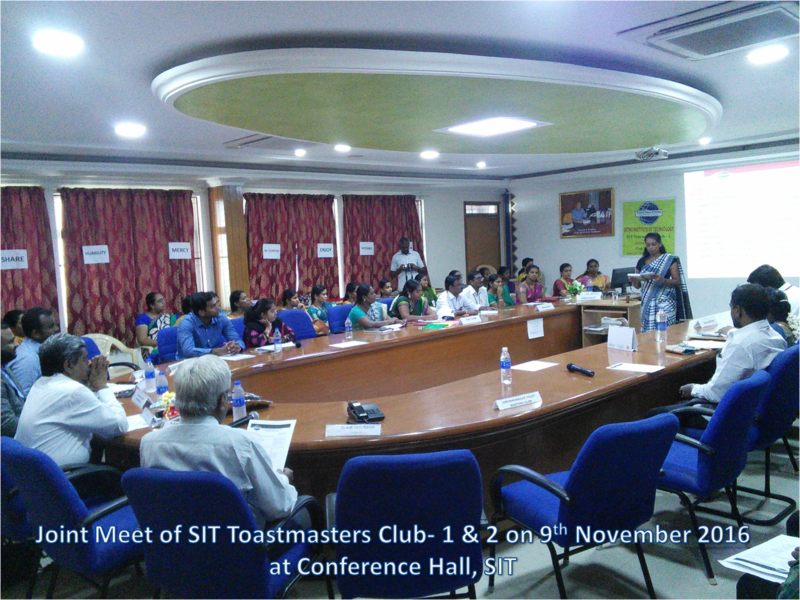 Attending the function, the chief guest, Prof. Gautham Ghosh, Mr.S.Mohammed Jaleel, Mr.M.Seeni Mohaideen, Mr.M.Seeni Mohamed Aliar Maraikkayar, Dr.A.Senthil Kumar inaugurated SIT Toastmaster Club 1 & 2. The Club was inaugurated in the auditorium in the presence of students and faculties from the college. 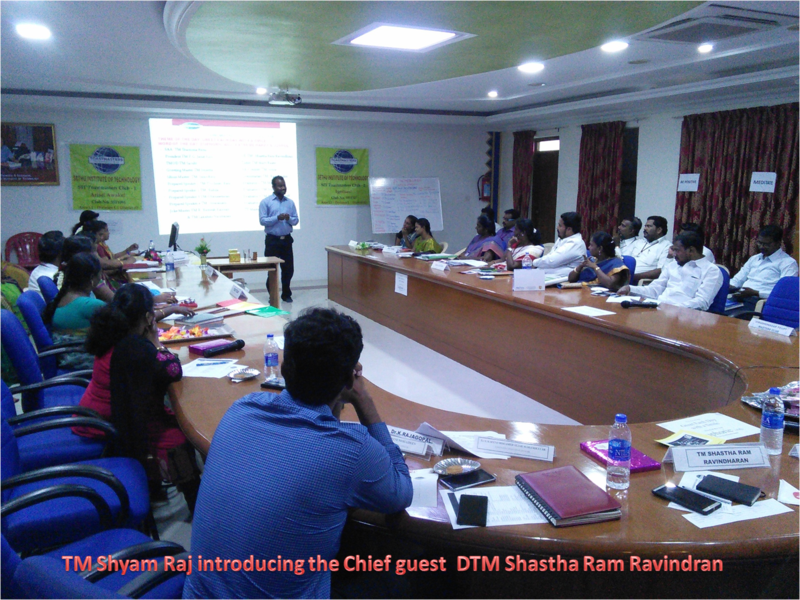 The Inauguration of SIT Toastmaster Club is an effort on the part of college to reinforce the vision of Toastmaster International Club in empowering individuals to become more effective communicators and leaders. The First Year students demonstrated the club activities on stage. Prof. Gautham Ghosh, in his chief guest address he stressed the importance of communication skills and leadership skills to get placed in top Multinational Companies. And also he advised students to develop their reading skills. He cautioned the students about the competitive world where the fittest only survive. The College Chairman presented him a memento on the occasion. Dr. Merline, Dean, Planning and Development, Sethu Institute of Technology proposed the formal vote of thanks. Cutural Programs were organized. The function was given wide coverage by the media and press people.